One Poet's Notes: Poetry for World Autism Awareness Day: "Song for One Who Cannot Speak"
Poetry for World Autism Awareness Day: "Song for One Who Cannot Speak"
According to information available at the World Autism Awareness Day website, in 2007 the United Nations General Assembly declared April 2 as World Autism Awareness Day. The UN resolution establishing this annual recognition was intended to draw the world's attention to autism, a pervasive disorder that affects tens of millions—to urge everyone to engage in activities that raise awareness about autism throughout society in order to encourage early diagnosis and intervention. The occasion was also developed to further express deep concern at the prevalence and high rate of autism in children evident in all regions of the world as well as the consequent developmental challenges. Participants observing World Autism Awareness Day describe autism as a growing global health crisis. 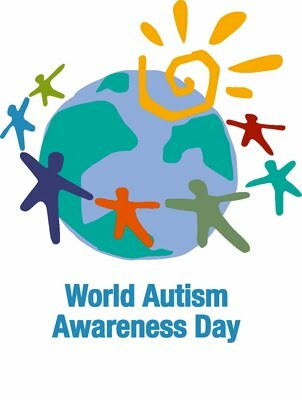 They have instituted various activities to help increase and develop world knowledge of the autism epidemic. Additionally, those supporters of the day’s events celebrate unique talents and skills exhibited by individuals with autism. Organizers request that all join in an effort to inspire compassion, inclusion, and hope as we give a voice to millions of individuals worldwide who are undiagnosed, misunderstood, and seeking assistance but often cannot speak for themselves.
. . . . . emphasized, only the silence is noted.
. . . . . and I wonder what you would say. This is a very special poem, so beautifully written and evocative, and tender. I was very moved by this poem. Its sensibility is profound and timely. I just discovered this site and will definitely be a frequent visitor. For those who might be interested, I have started a blog in honor of April as being National Poetry Month. I am publishing a poem a day for the month of April...some written by me and others are favorites of mine.